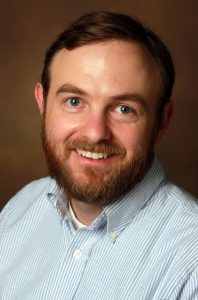 Christopher Redding is an Assistant Professor of Educational Leadership in the School of Human Development and Organizational Studies in Education at the University of Florida. He earned his doctorate in Leadership and Policy Studies from Vanderbilt University. Dr. Redding teachers courses related to school improvement, data-driven decision making, and educational policy. He conducts rigorous research using survey and administrative data that focuses on the policies and educator labor market patterns that exacerbate the unequal distribution of high quality teachers and the reforms intended to reduce this problem. Broadly, this research describes failures in the teacher labor market that impede the learning opportunities for underserved students and the ways in which changes in teacher education, development, and leadership opportunities can lead to better teacher retention and student outcomes, particularly in underserved schools. HIs recent work has been published in such venues as the American Educational Research Journal, AERA Open, Education Finance and Policy, and Teachers College Record, among others. Redding, C. & Henry, G. T. (in press) New Evidence on the Frequency of Teacher Turnover: Accounting for Within-Year Turnover. Educational Researcher. Redding, C. & Henry, G. T. (in press) Leaving school early: An examination of novice teachers’ within- and end-of-year turnover. American Educational Research Journal. Nguyen, T. D. & Redding, C. (in press). Changes in the Demographics, Qualifications, and Turnover of American STEM Teachers, 1988-2012. AERA Open. Henry, G. T. & Redding, C. (in press). The consequences of leaving school early: The effects of within-year and end-of-year teacher turnover. Education Finance and Policy. Redding. C. & Smith, T. M. (in press). Supporting Early Career Alternatively Certified Teachers: Evidence from the Beginning Teacher Longitudinal Survey. Teachers College Record. Redding. C. & Viano, S. (2018). Co-Creating School Reform: Should Self-Determination be a Component of School Improvement? Teachers College Record. 120(11). Redding, C., Cannata, M., & Miller, J. (2018). System learning in an urban school district: A case study of intra-district learning. Journal of Educational Change. 19(1), 77-101. Redding, C. Cannata, M., Haynes, K. T. (2017). With scale in mind: A continuous improvement model for implementation. Peabody Journal of Education. 92(5), 589-608. Redding, C. & Smith, T.M. (2016). Easy in, easy out—Are alternatively certified teachers turning over at increased rates? American Educational Research Journal. 53(4), 1086-1125. Grissom, J. A. & Redding, C. (2016). Discretion and disproportionality: Teacher race and the underrepresentation of high-achieving students of color in gifted programs. AERA Open, 2(1): 1-25. Nicholson-Crotty, S., Grissom, J. A., Nicholson-Crotty, J., & Redding, C. (2016) Disentangling the causal mechanisms of representative bureaucracy: Evidence from assignment of students to gifted programs. Journal of Public Administration Research and Theory. 26(4), 745-757. Which Teachers Are Most Likely to Leave School Mid-Year?